MATT LEVATICH, HARLEY-DAVIDSON MOTOR COMPANY PRESIDENT and COO, NAMED PRESIDENT and CEO of HARLEY-DAVIDSON, INC.
MILWAUKEE – Harley-Davidson, Inc. (NYSE: HOG) has named Matthew S. (Matt) Levatich, currently President and Chief Operating Officer of Harley-Davidson Motor Company, to succeed Keith Wandell as President and Chief Executive Officer of Harley-Davidson, Inc. upon Wandell's retirement May 1, 2015. Levatich has also been elected, through Board action, to the Harley-Davidson Board of Directors. The leadership transition comes at a time of great brand strength and Company performance. Since early in Wandell's tenure, Harley-Davidson has benefited from a clear and compelling strategic plan. Along with major transformations in product development, manufacturing and retail capabilities, the strategic plan has had a major focus on leadership development and further strengthening the Harley-Davidson brand. "We have accomplished a lot to reposition Harley-Davidson for a bright future," said Wandell, "and the most important achievement has been the development of great leaders at all levels of the organization. Our executive team has been integral to the creation and execution of our strategy and assuring a strong company going forward." undergraduate degree in mechanical engineering from Rensselaer Polytechnic Institute, Levatich holds a graduate degree in engineering management and an MBA from Northwestern University. He has served on the board of directors of Emerson, a St. Louis-based global manufacturing and technology company, since 2012. "Matt's tremendous leadership abilities and track record, together with his drive for excellence and deep knowledge of the business, make him an outstanding choice as Harley-Davidson's next CEO," said Wandell. "He has been a driving force behind our focus as a customer-led organization, and the innovation and continuous improvement that are expanding Harley-Davidson's industry leadership. I have great confidence in the company's future under Matt's guidance." "It's a great honor to become the next CEO of this iconic company," said Levatich. "As we look to the future, we believe there are tremendous opportunities to build on our many strengths. Harley-Davidson is one of the world's most-powerful and revered brands, and through our strategies to provide unrivaled products and experiences for our customers, we aim to extend our reach and work to realize our full potential as a growing global company." Wandell, 65, became President and CEO of Harley-Davidson, Inc. May 1, 2009, and was elected Board Chairman in February 2012. During his tenure, the Company launched groundbreaking motorcycles, transformed manufacturing through a restructuring that is generating more than $300 million in annual savings and made significant gains in reaching new customers by growing international markets and sales to outreach segments in the U.S.
"Keith has been a transformational and visionary leader who joined Harley-Davidson at a critical juncture in its history," said Richard Beattie, Independent Lead Director. "He developed strong leaders throughout the company and at the same time transformed how Harley-Davidson does business. We owe a huge debt of gratitude and thanks to Keith for Harley-Davidson's many achievements and advances under his leadership." Wandell has chosen not to stand for election to another term on the Harley-Davidson Board of Directors at the Company's annual shareholder meeting April 25, 2015. Beattie will assume the role of Board Chairman at that time. Levatich and Harley-Davidson Chief Financial Officer John Olin discuss the leadership transition in a video that will be posted to the Investor Relations section of the Company's website at 8 a.m. (CST) Thurs., Feb. 5, 2015: http://investor.harley-davidson.com. Harley-Davidson, Inc. is the parent company of Harley-Davidson Motor Company and Harley-Davidson Financial Services. 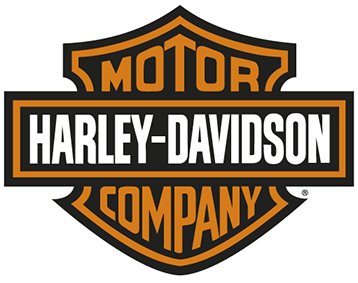 Harley-Davidson Motor Company produces cruiser and touring motorcycles and offers a complete line of Harley-Davidson motorcycle parts, accessories, riding gear and apparel, and general merchandise. Harley-Davidson Financial Services provides wholesale and retail financing, insurance, extended service and other protection plans and credit card programs to Harley-Davidson dealers and riders in the U.S., Canada and other select international markets. For more information, visit Harley-Davidson's Web site at www.harley-davidson.com. The Company intends that certain matters discussed in this release are "forward-looking statements" intended to qualify for the safe harbor from liability established by the Private Securities Litigation Reform Act of 1995. These forward-looking statements can generally be identified as such because the context of the statement will include words such as the Company "believes," "anticipates," "expects," "plans," or "estimates" or words of similar meaning. Similarly, statements that describe future plans, objectives, outlooks, targets, guidance or goals are also forward-looking statements. Such forward-looking statements are subject to certain risks and uncertainties that could cause actual results to differ materially from those anticipated as of the date of this release. These risks and uncertainties include, among other things, the Company's ability to execute its business strategy and manage through changes in general economic conditions, including changing capital, credit and retail markets, and political events, as well as the factors disclosed in the Company’s January 29, 2015 press release relating to its results of operations for the quarter and year ended December 31, 2014 and the factors detailed in the Company’s Securities and Exchange Commission filings. Shareholders, potential investors, and other readers are urged to consider these factors in evaluating the forward-looking statements and cautioned not to place undue reliance on such forward-looking statements. The forward-looking statements included in this release are only made as of the date of this release, and the Company disclaims any obligation to publicly update such forward-looking statements to reflect subsequent events or circumstances.